When I separated from Active Duty in 2006, I was like most veterans – ready for a change. I briefly considered joining the Guard or Reserves, but I got caught up with relocating to a new state, looking for a job in the civilian market, planning a wedding, and everything else that comes with those major life changes. I also had no desire to go back into the field I worked when I was in the service (I was an aircraft mechanic and had no desire to get back on the flight line). And with everything else going on, I didn’t have the time, or desire to go through a long tech school assignment. After I got married and started my post-military job, I didn’t have the time to make the commitment to the military, if even on a part-time basis. I also had no desire to deploy again, after having deployed five times in a six-year enlistment (not to mention a one-year special duty assignment). I was accustomed to being away from home station as much as I was at home station, and that doesn’t work well with a new wife and new job. So I put the idea of serving in the Guard or Reserves on the back burner and largely ignored my desire to go back into the service. It’s been over six years since I separated from the military, and now I am rethinking my stance on the Guard and Reserves*. Right now I am researching the possibility of going back into the service. Many things have changed since I got out of the service, and others have remained the same. On a personal level, I have been married for almost six years, and I have two young children (three years old and seven months at the time of writing). I am also self-employed now, which makes things different on the employment front. What hasn’t changed is my desire not to work in my previous career field. I also have no desire to deploy, but I understand that comes with the territory, and of course, I am willing to go if called. (*Note: this article was originally published in 2012 when I first considered joining the ANG. This has been updated since the original publication date for clarity and to add more information). Why am I rethinking this? A lot of reasons, actually. I have missed the military since the day I left it. The two things I miss the most are the camaraderie of being in a unit, and the sense of being part of something bigger than myself. I run this site, and several others as a way of giving back to the military community, but it isn’t the same as wearing the uniform. There are other reasons I am considering reenlisting in the Guard or Reserves. Benefits are a consideration. I am self-employed, so I have to buy individual health insurance. With no group employee plan available to me, I pay a lot of money out of pocket each year for health care. Joining the Guard or Reserves would allow me to sign up for TRICARE Reserve Select, which currently has a family plan option that runs around $200 per month. My current health care insurance is $750 per month – and we have no preexisting conditions! Long term, I would also like to be able to transfer my Post-9/11 GI Bill benefits to my daughters, if possible (there are limitations to who can transfer GI Bill benefits, and right now, I don’t qualify, but may be able to if I serve longer). Finally, the military retirement benefits and TRICARE for Life are important considerations. I currently have six and a half years of active duty time, so if I were to make it through to 20 years of service, I would likely end up with enough points to equal around 10 years of service, which would be good for around 25% of my retired base pay, plus the health benefits, of course. Even though I wouldn’t be able to receive the benefits until age 60 (unless things change between now and then), those benefits would have a substantial effect on our retirement planning. Should You Join the National Guard or Reserves? here is our article and podcast about joining the Guard or Reserves. We cover a lot of ground, including reasons to join, benefits, job opportunities, retirement benefits, and much more! So What’s the Hang Up? Why haven’t I done it yet? Again, there are a lot of factors to consider. One, I have a service-connected disability. I had two knee surgeries while I was on active duty, and I currently receive disability compensation from the VA. It is actually possible to join the Guard or Reserves while receiving VA disability compensation, but there are certain rules about it and I would need to go through a physical at MEPS to first be cleared as physically fit for service. This means I would need medical waivers to serve again. The other issue is finding a job. I was a SSgt in the USAF (E-5) when I separated from active duty, and I would only consider joining the Air National Guard or Air Force Reserves, so I wouldn’t have to worry about losing any rank. However, I would prefer not to go back into my old job, so I would need to find a unit nearby that has a job I would be qualified to do, and one that will have an opening for a part-time position and allow me to cross-train into the career field (some Guard and Reserve billets are for full-time positions, or are only available to prior-service members with previous experience in that career field). What’s next? At this point, I am still in research mode. I recently contacted an ANG recruiter at a nearby base for more information and I forwarded him my DD-214 and my VA disability letter. He is in the process of setting up an appointment with a nearby MEPS station where I can go through the physical process to determine whether or not I will be cleared to serve. From there we will look at available jobs and see if there is a good match. If there isn’t a match at that base, then I will extend my search and look at jobs at other nearby bases. There are four Air National Guard bases within a three-hour drive from my home, and an ANG and Air Force Reserve station about 4.5 hours from my home. Among those bases, I should have options if I am qualified to serve again. Of course, my wife and I would still need to talk about everything. I don’t make any life decisions as important as this without her approval. I think she knows that I would serve again if I am able, but it’s still something we would need to pray about and discuss. The possibility of being away from her and our two girls would be very difficult for everyone. But I know it would be much more difficult for her, and that isn’t something I take lightly. 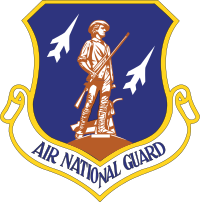 Update: I was finally able to join the Air National Guard – almost exactly two years after publishing this article! It was an interesting journey, which you can read about here. Keep the faith if you have a desire to serve again. The path may not be easy (mine was not), but it was worth it! Wow, Ryan. Rarely do you get this personal on your blog, which means that you really are writing in truth and with feelings. I hope your pursuit to return to the military works out. The knee surgeries may be a hindrance, but you’ll never know until you make it to the MEPS. I’m sure that your family will support whatever decision you make and you’ll make the right decision for them. Thanks, Romeo. I’ve submitted my health records and paperwork to the recruiter and he is coordinating a physical with MEPS. From there, it’s still up in the air. I need to find a job I am will to retrain into (I don’t have any desire to go back to the flight line), and I need to talk it over with my wife some more. In the end, it needs to be a family decision. You should check into Aviation Resource Management or Airfield Management. You wont be out working on the the flight line, but you will be working in Operations. You still get to work around the aircraft and aircrew, but you will be in an air conditioned office. I was in the same boat as you before. I got out of AD Army and decided to join the Air Guard after being in the civilian sector for about a year. Good luck to you. Thanks so much for all you do with the Military Wallet emails, and I pray God’s will for you and your family in this pursuit. I have a lot of respect and appreciation for someone willing to pray about their decisions and not afraid to say it especially in this world we live in. Thanks a lot! I’m about to go into the USAF for a 6 year enlistment period as an EGRESS system maintenance personnel. Thank you for the information about your experience and finances. Could you let me know why or why not you haven not been able to go into an officers program? Is it likely for enlisted personnel? Thank you. Hi John, I separated from active duty Air Force in early 2006. At the time, the AF was going through Force Shaping, and they were making many junior officers leave the service. this was a way to reduce total force numbers after the opps tempo started slowing down. At the time it was incredibly difficult to go from enlisted to officer through the service. I had a degree, but the process was very limited, in part due to the reduction in force. It would have been easier for me to get out of the service, then join as a civilian. I decided at that point to leave active duty and see what the civilian world had to offer. After I got out, I landed a nice job in the civilian market, got married, had a child, and decided I didn’t want to go back onto active duty. I looked into the Guard/Reserve when I first separated, but I decided it wasn’t right for me at that time. I’ve started looking into it again, and I am interested in joining if I can find the right fit (unit, job, location, etc.). As far as becoming an officer now, it would depend on the unit needs and who they pick. From what I understand, the unit office jobs are often filled from within or from active duty transfers, though it varies from unit to unit. I can’t give you a good idea on how easy or difficult it is to become an officer because it varies by unit and job availability. The best bet would be to speak with a recruiter on your base. Best of luck, and thanks for your service! Hey Ryan, Just curious, did you ever rejoin? Thank you for providing all of these topics /information on your blog. Most of my questions were answered except for one. I wanted to know if you know if someone who is service connected can go back to active duty? I do not know if the process for active duty is different than the guard/reserve components. Blessings and Happy New year!. Jose, Thank you for contacting me. Yes, you can go back on active duty, provided you are medically qualified to serve again. You would most likely have to go through MEPS and go through the entire medical examination prior to serving again. This would likely involve needing medical waivers to go to MEPS, and medical waivers to join the military again. There is a different waiver process for each branch of the military, so if one branch declines your application, you can try again with another branch, or with the Guard or Reserves. The following article covers this topic from the perspective of joining the Guard or Reserves, but the same principles apply for active duty: https://themilitarywallet.com/join-guard-reserves-va-service-connected-disability-rating/. Keep in mind you would have to waive your disability pay the entire time you are serving on active duty if you are able to get in. Additionally, some services are downsizing right now, so it might be more difficult to get back on active duty, depending on your branch of service, how long you have been out, your career field, rank, reenlistment code, evaluations, and other factors. The best thing to do is contact a recruiter, let them know all the info I just mentioned (have your DD 214 ready; that will have your Reenlistment code on it). Also be sure to tell your recruiter about your service-connected disability rating. The recruiter will be able to help you from there. I hope this answers your question. Best of luck, and thanks for your service! Great question, Sam. To be honest, I don’t know how the VA reviews disability cases for serving members of the Guard or Reserves. I have been in the Guard for six months now, and haven’t heard anything. But there may be some kind of formal review; I just don’ know. As you alluded to, there are financial impacts of joining the Guard or Reserves with a disability. Just something to be aware of. To actually join the military again, you will need to be able to physically qualify, which usually means going through MEPS again. You will almost certainly need to apply for medical waivers to join the military if you have an 80% VA disability rating. That link covers the details on how to apply for a medical waiver. My recommendation is to contact a Guard or Reserve recruiter, explain your situation, including your medical history and your military history (have your DD Form 214 ready so you can have your Reenlistment code and other information handy). Then see where it goes. I wish you the best with your career! Did you ever try to reenlist? Did you get back in? Also, what did the VA do to your 80% rating if they saw you fit enough to serve again? I hope you see this comment bc I am in the same situation now….thinking about reenlisting with a pretty high rating and wonder if like you, will the VA say hey, let’s lower his rating because clearly he is fit enough….although being mentally tough and capable of pushing myself to be fit versus coping with the pain of the disabilities is something nobody will ever know but those of us going through it. I hope all is well! Ryan, if you heard of Sam’s results please feel free to reply as well! Hello Ryan, I haven’t heard back from Sam. I do know that it can be possible to join the Guard or Reserves with a fairly high rating. I haven’t heard from anyone who directly said they had their disability rating decreased simply because they joined the Guard or Reserves, but that doesn’t mean you wouldn’t be subjected to a reexamination by the VA (whether part of a normally scheduled reexamination, or prompted by joining the military). As for joining the Guard/Reserves with a disability – it can be done, which I wrote about here. The military will review your application and decide if the medical conditions prohibit you from serving, or if you will require a medical waiver. If you require a medical waiver, the military primarily looks at three factors: 1) can you perform your military duties, 2) can you pass your PT test, and 3) will you be worldwide deployable? Each situation is handled on a case by case basis, so I can’t make any comments on specific medical conditions or anyone’s specific odds of receiving a waiver. This article covers much more information about joining the military with a medical waiver. It should answer many of the big-picture questions. I hope this is helpful and I wish you the best in your journey to joining the military again! Ryan, hope you see this. My son did the ppwk for the Marines, was denied on a non waiver issue. We weren’t told that until I went to the Army and reviewed the AR 40-501(hope that is the right name of the medical requirement handbook). I had a lawyer look at my son’s situation and his issue was Ulcerative colitis. non waiverable to get in, but in section 3 I believe, you can get this while in the service and if treated and you can do your job, you can continue. the surgery also is defined as a cure. I have spoken to about 50 lawyers, most used to be JAG lawyers, trying to find a way to pursue this. Do you have any thoughts. My son is extremely healthy, fit, continued his martial arts after his surgery, became a master(4th degree black belt) in Tae Kwon do and has letters from his doctors releasing him to any activity including military. while it may be a road to no where, my job as his father is to exhaust every avenue to get him in the military. He has wanted this since he was 8 years old. worked out with the enlistees at a recruiting site in Houston for about 4 months before he got the denial letter. I would not recommend joining the National Guard or Reserves. It is culturally much worse than active duty and filled with toxic leadership. I joined the National Guard after 4 years of incredible active duty experience in a premier unit. The lack of values, unethical practices, abuse of authority and the coverup of gross misconduct has shown me the National Guard was the biggest mistake of my entire life. I would discourage anyone from considering the National Guard as an option and recommend active duty to those who feel the call to service. Take some free advice, I had to learn the hard way from my personal experience how deeply troubled the National Guard truly is. Do not join the National Guard, you will regret it the rest of your life. Hello Keith, your statements are based on your personal subjective experiences, and cannot be applied as a blanket statement covering all National Guard and Reserve units throughout the Air Force. My personal experiences have been very different, and I’m sure many other people feel the same way. If you desire to continue your military service, then consider changing units – either in the Air National Guard or Air Force Reserves. Or you can consider changing branches of the military if you wish – it is often possible to do so, especially at the National Guard and Reserves level. Keep in mind, that you would be required to take certain training if you change branches, and not all services allow transfers into the Reserves from another branch of service. Ryan, too bad for Keith. I have been in the USAR Aviation for 25 years as a pilot warrant officer. Greats friends, able to save Americans during Hurricane Harvey in Houston and will have a sizable pension at age 60 as well as rather free Tricare for life. Great deal, great times and I get paid extra to fly a Blackhawk every couple of weeks. Also get a free three weeks a year from Myanmar’s civilian employer to double dip. Did I even mention VA Chapter 33 educational benefits for my children. I’ve reviewed many of the comments here but I had a pitfall that few if any younger troops think of. I’m retired USAF MSGT from active and reserve with all assignments in a/c maintenance and paralleled a civilian career in Petro Chemicals. In my younger days I wore both hats, worked hard and was successful and stayed with procedure. Sometimes I think I should strayed active, as it was, In later years the civilian job I reached a level where I couldn’t walk away without placing cost hardships on the company and my teams so went retired Reserve for 20 years to age 60 TFL at 65. Now daysGuardsmen & Reservist get activated much more, I would not have made it.